In the learning industry, just in time learning has become something you hear about quite often. This kind of training gives your employees the information they need, in small portions, and when they need it most. Just in time training is flexible, on-demand training that employees can access when their schedule permits or as a need arises, rather than incurring the cost of having employees offsite at a training course for long periods of time. But what does just in time training mean for the restaurant and retail industries? In both the restaurant and retail industries, the need to hire employees and get them up to speed quickly frequently arises. With just in time learning, managers and employees are not having to set aside time in a busy workday to sit down and make a classroom type learning session happen. Managers can give employees access to onboarding and training materials from a smart device and the employee can train from anywhere. Just in time training can also be used as a successful tool for on the job training because employees can watch a demonstration of a task, like food prep or stock room management, and then immediately put it into action in the restaurant or store. This enhances the learner's ability to retain information by hearing, seeing, and doing the task in quick succession. 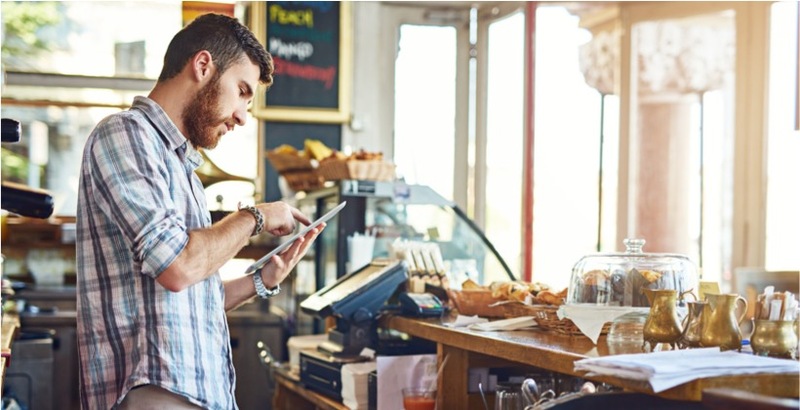 As restaurants and retail stores tend to employ a staff of younger workers this type of learning really appeals to them and lets them make use of the technology and devices they already know how to use. Restaurants and retail still have corporate compliance measures that need to be met. Planning for all of your employees to take a compliance training class at one time is hard, and virtually unrealistic. Trying to balance a schedule in order to make several sessions of a class happen and only have a portion of your employees out is about as equally unrealistic. With just in time learning, your employees are able to catch up and keep up with corporate guidelines and safety regulations as their schedule permits. You also have the ability to push notifications to the employees to let them know there is a new information available and any deadline that may pertain to finishing it. Using this method makes sure everyone stays on the same page with corporate guidelines but the restaurant or store doesn't lose a step in their business operations. Timing and customer service are of the essence in the retail and restaurant space. If a customer is at the cash register and has a question about a product or service, wouldn't it be nice for the employee to be able to quickly look the information up, rather than delaying the transaction by having to find a manager to answer the question? With just in time training you have the ability to give your employees access to information they may need on a day-to-day basis while serving customers or information they may just need to refresh themselves on. Have a server that hasn't had to process a customer discount in awhile? Allowing them the ability to look up the information without a delay is a huge bonus to customer service interactions. It also helps empower the employee and gives them the autonomy to make decisions as needed rather than having to find a superior to do it for them. Our guide "6 Actionable Ideas for Driving Employee Engagement Through Mobility," describes why this type of employee access to information is critical to success. The retail and restaurant industries bring their own set of unique needs to the table as far as employee training goes. The need for these industries to keep up with technology and understand their employees' training needs is a critical evolution of the business. Just in time training gives the company and the employee the flexibility to train as needed or as schedule permits which in turn leads to a more productive and engaged workforce.